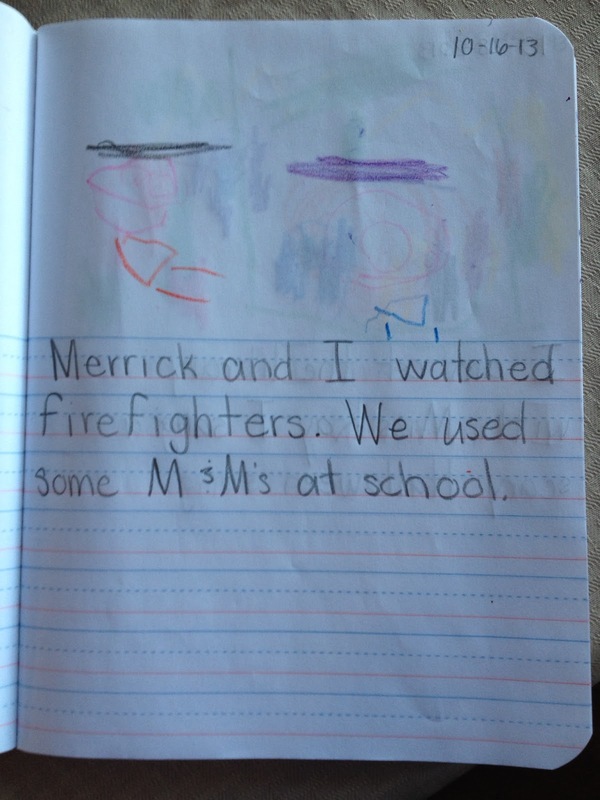 One of my favorite things to do as a child (besides reading) was to write. It was not unusual to find me writing in a journal, writing a fictional story for my sister to read or even attempting to write a poem. I have always LOVED to write. I still, when I have time, love to sit and write. That is partly why I enjoy this little blog so much. It is a trait I hope at least one of my children will love as much as I do. 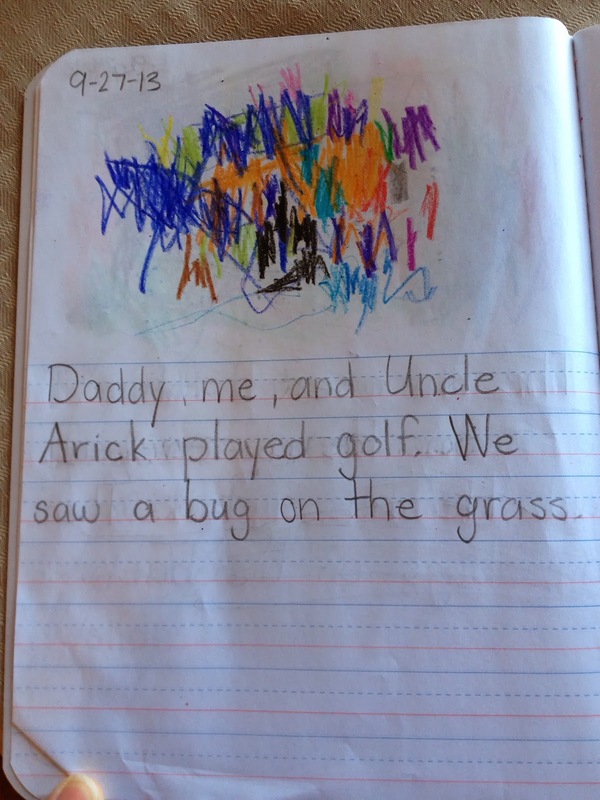 Lately, I have been working with Lil’ Man on writing in a journal. We try and write in it every day, but we don’t stress about it if we miss a day or two. I want it to be an enjoyable experience for him. He thinks about what he wants to draw and then he dictates to me what he wants me to write. As painful as I might find it grammatically, I write down exactly what he says (I find this is also good way to pinpoint exactly what we need to work on for his oral language). I made a short little list of, what I think, are important things to keep in mind during journal time. 1. This is not a time to worry about grammar and spelling. I know that seems like an odd thing for a former 1st grade teacher and literacy coach to say. Don’t worry. I fully believe in teaching proper grammar, spelling, and mechanics. That being said, I also fully believe in not letting those things interfere with creativity. There needs to be a writing outlet that is free from all that. Children (or any writer) need to get past what causes creative blockage.They need to let their thoughts, ideas, and stories flow without fear of looking or sounding right. After all, if it is something they later want to share or publish for an audience, they can use the editing process to go back and later correct. 2. Let it come from them. Try to avoid “writing prompts” during journal time. I find this especially important for the beginner writer. A beginner writer needs to be encouraged to feel the natural flow of writing. That flow can sometimes be inhibited when being asked to write about something unfamiliar or something forced. They need to learn to formulate their own ideas, stories, and thoughts in writing. If there is a point where they feel “stuck” you can have them talk about their interests, memories, and feelings. Sometimes, just having a conversation will help them think of something they want to write about. If that too fails, give a broad prompt such as – “just write about something that makes you happy”. 3. Keep it simple. Do not make it overwhelming by giving them several different journals. Throughout my years I have kept many forms of journals. I had journals that were for personal thoughts (“dear diary”-esque), journals for poems and stories, journals for Bible studying, and journals in the form of scrapbooks. Eventually (if they enjoy writing), they too may have various specific journals. For now, at the beginning stage of writing/journaling, it is better to just have one journal that is general in nature. It can be for personal thoughts, stories, or whatever else they decide to write. Drawing is an early way to release some of the creativity for writing. 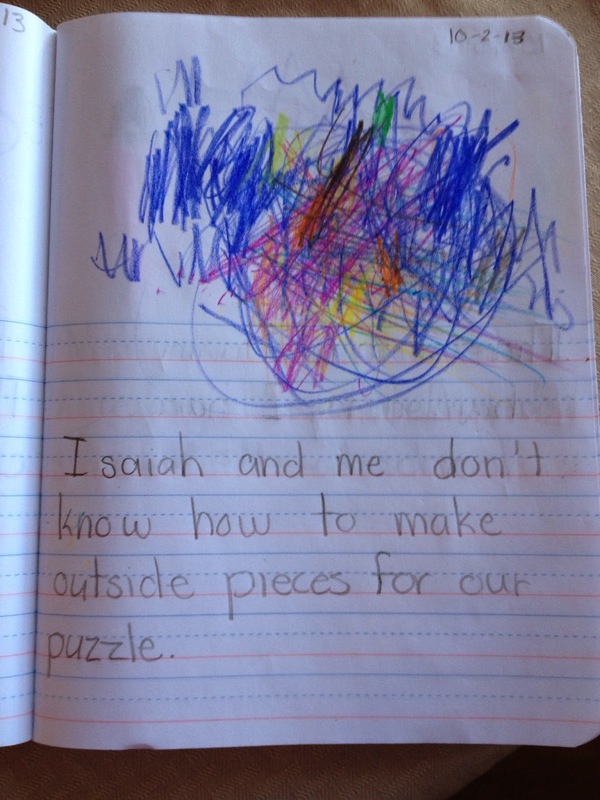 The important part is what they are dictating to have written or writing in their journal. Don’t let them worry about how their picture looks. Leave that for art time. Not all writers are artists and not all artists are writers. Don’t unnecessarily force the two together. Let journal time be a fun and relaxing experience for your little writer.